Racha Yai is not the place to go if you’re looking for stunning coral reefs. 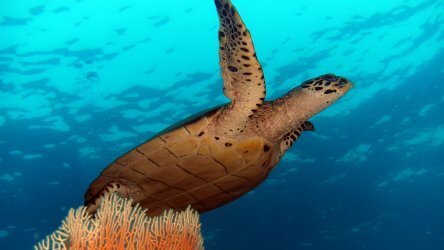 To replace the coral damage from the bleaching event that occurred in 2010 the Thai government has placed a whole heap of artificial reef structures to attract marine life and take the pressure off the remaining corals. This is where most of the structures lie, there’s 5 small wrecks and countless concrete cubes. 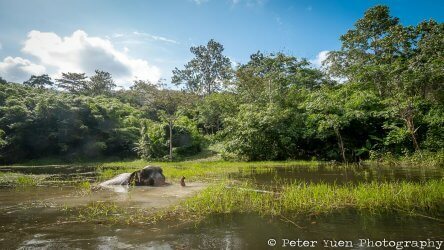 This maze of shelters attracts creatures that are hard to find elsewhere around Phuket. Longfin batfish have become permanent residents in the cubes and harruby wreck. Freckled frogfish, reef stonefish, snake eels, indian ocean walkman and psychedelic nudibranch’s all take advantage of the hiding places. The wrecks make a perfect location for Advanced Open water training and wreck specialty. On the sand patches away from the structures we can find small groups of spotted garden eels, kuhl’s stingray and a large school of forsters barracuda. All great for photo opportunities in the usually clear water. There are some huge giant morays that make bay 1 home. They’re very used to divers and quite often laze around in full view. On our other dive sites they’re a little more timid and so only the head can be seen. There’s even a couple of motorbikes for divers to pose with. A surreal picture which now adorns many Facebook profiles. We don’t dive here very often simply because of the attractions in bay 1 but occasionally for a change of scenery we’ll stop by. There are some cubes at depth and again they attract some unusual critters but not on the same scale as bay 1. For some reason cephalopods love this dive site, it’s quite common to find both reef octopus and cuttlefish along the wall heading south from the bay. 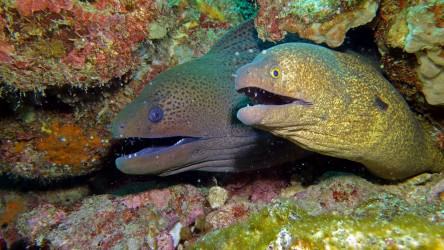 Clouded morays hunt out on the sand and their nemesis – yellow lipped banded sea kraits are usually not far behind. It’s also a favourite spot for titan triggerfish to make their nests and they can be quite aggressive when they have eggs. Don’t worry your guide will steer you away from the danger zones unless you’ve managed to upset them in some way. Another nice and easy dive site but again not a great deal of coral apart from the shallow areas. This very busy bay is only dived when the weather makes the east side of the island inaccessible. There’s three main areas to dive – north, south and the cubes in the middle. Experienced divers will probably be underwhelmed by this dive site. 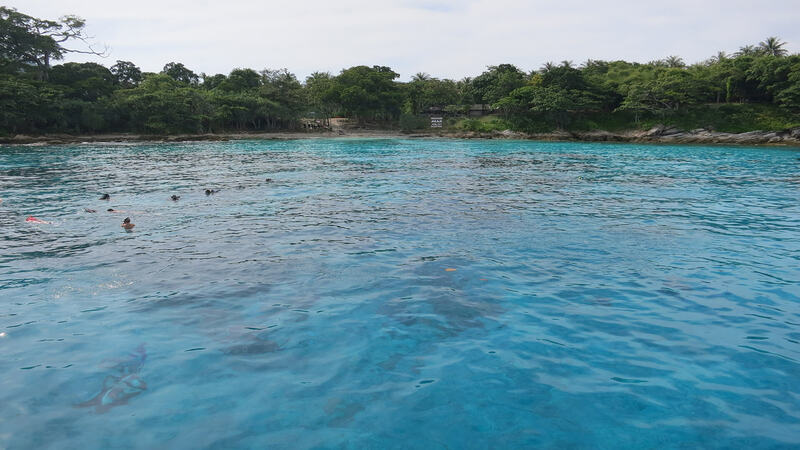 It can be fun for beginners and their is a very pretty reef on the south side made up of acopora coral. All the usual reef fish are here and it can occasionally throw up some surprises. 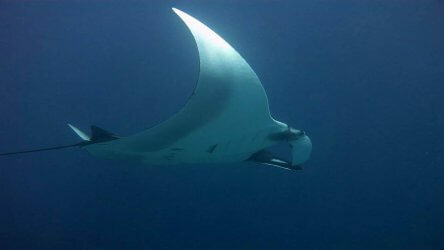 Giant guitarfish and porcupine rays have been seen in the deeper areas. Even a whale shark has frightened the life out of some Discover Scuba Diving students. Unless the weather is particularly bad we’ll only complete one dive at Racha Yai. 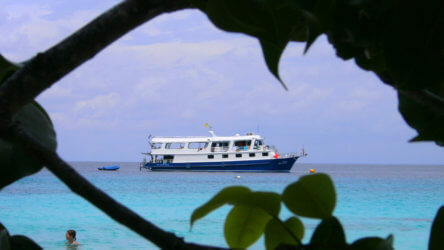 The other two dives of the day will be at Racha Noi so we usually choose Bay 1. We go every Saturday, Monday and Thursday so contact our team to book your spot. Slow down & see more!